Recent shockers during the course of this year, like ban on sale of BS-III vehicles, increase in cess on certain vehicles under the GST, and the latest government push to BS-VI fuel, seems to have left auto dealers with a surplus stock. To beat the lull in sales towards the year end, auto dealers are offering discounts and other offers, in the range of Rs 25,000 and Rs 8.85 lakh, on certain vehicles. The benefits include cash discounts and exchange bonuses on select models by companies including market leader Maruti Suzuki to luxury carmaker Audi, and everything in between. Most offers by the car manufacturers will be available for a limited period and may vary according to the region. To get further information, interested buyers can call local dealerships for exact quotes on the desired variant and model. Recently, all the automobile manufacturers released their third quater results for 2017 and showed an impressive growth over last year. Maruti continued with thier top rank, and that too with a huge margin. The company registered a growth of around 14 per cent. Despite the grwoth, the company's favourites, Alto and Wagon R have shown a dip in sales. The year-end offers will help the company spike the tipping growth rate in entry-hatchback segment. These offers come despite the recent shocks to the auto industry earlier this year. The ban on sale of BS-III vehicles, increase in cess on certain vehicles under the Goods and Services Tax, and the latest government decision to push BS-VI fuel seems to have left auto dealers with a surplus stock. Moreover, change in buyer preferences, as seen in the November sales figures released last week, have led to a decline in sales of some popular models, adding to their pending stocks. Also, buyers avoid buying cars in the year's end as it affects the vehicle's resale value in mid-term. It is to be noted that dealerships in different regions have put up different offers. Here are some of the discounts and benefits that are being offered by the car companies before the year 2017 comes to an end. The top player in Indian auto market is offering discounts and benefits on its popular hatchbacks Alto, WagonR, Celerio and Swift , premium hatchback Ignis, its flagship sedan Ciaz, and MPV Ertiga. 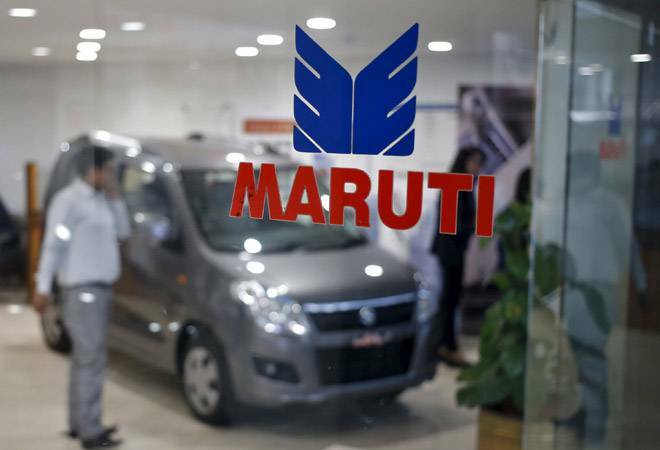 Maruti Suzuki is offering the various variants of the Alto, including the one with AMT, with benefits from Rs 45,000 to Rs 55,000, as per reports. The AMT variant of WagonR with CNG is being offered with benefits up to Rs 55,000. Ciaz with petrol engine is available with offer benefits up to Rs 70,000 where the diesel variant comes with benefits up to Rs 85,000. The recently launched Ignis is available with benefits up to Rs 40,000. Maruti Suzuki has also announced nationwide 'Winter Car Care Camp' for free car check-up from December 7 to 17. The offer will be available at authorised Maruti Suzuki service centres and will provide thorough examination of the key components of the car. Customers can even redeem their loyalty vouchers at the camp for discounts on labour charges and select car parts. Indian car maker Tata Motors has launched Mega Offer Max Celebration sales where buyers can own a Tata car at a down payment of Re 1 and even save up to Rs 1 lakh. The hatchback Tiago and styleback Tigor are being offered with discounts of Rs 26,000 and Rs 32,000 respectively. Hexa, the premium SUV by Tata Motors is available with discouts up to Rs 78,000 whereas Safari Storme is going with the highest discount of Rs 1 lakh. Hyundai dealerships are offering discounts on Eon, i10, i20, Elantra, Xcent and Tucson this year-end. The small hatchback Eon is on sale with benefits up to 55,000, same as the Activ and Elite trims of i20. Hyundai Grand i10 is going with the highest discounts, with the petrol version getting discounts up to Rs 75,000, whereas the diesel engine gets benefits up to Rs 90,000. The compact sedan Xcent has benefits up to Rs 45,000. The German carmaker is offering hefty benefits up to Rs 1.1 lakh on its premium sedan Vento. Meanwhile, Polo, the popular hatchback from Volkswagen is being offered with benefits up to Rs 60,000. The luxury car maker Audi has recently slashed prices on its A3, A4 and A6 sedan line-ups as well as the SUV Q3 by Rs 3 lakh to Rs 8.85 lakh. Consumers can also opt for the Audi Rush scheme launched recently which comes with an EMI holiday till 2019. What good comes from putting Pradeep Singh Kharola at helm of Air India?